I was fortunate to meet Kendall in 2010 at Ali Brown's Coaching Business Intensive. An amazing woman! I've personally witnessed my friend revolutionize her business, and triple her income by working with Kendall. Yes, she's that good! Motivating your ideal client to sign up for your package is a simple formula that any woman entrepreneur can follow — a formula I’m happy to share with you. There’s just one catch: you must be willing to be ruthlessly honest about what your current packages are missing. Because if you’re not completely honest with yourself, you’ll skip key ingredients that can make the difference between a package that creates income for you…and one that only produces disappointing results. To be clear, packages are THE best way to offer your services. Packages replace charging by the hour (which is the worst strategy for pricing your services). They streamline your time and they make your services marketable. Here is a simple checklist of questions to help get your packages to sell themselves. 1. Does Your Package Feel Overwhelming? If you already know you over deliver, then it’s time to review your packages with fresh eyes, take a breathe and exhale…and trim 50% out of what’s included. Remember that simple is better here! 2. Is Your Package Clearly Delivering “Marketable Content”? Marketable content means your topic, title and content give people what they want to buy, not what YOU think they need. For example, the women entrepreneurs in our certified coach training programs get trained in exciting modules that are proven to be what people are eager to invest in. So little “selling” is needed because the modules sell themselves. Make sure your content is marketable and you’ll save you months of frustration. 3. Are The Results Clients Experience From Your Package Clear And Easy To Relate To? Clients will invest in solving problems that are important to them. Now is the ideal time to take an honest look at your package and decide if the problem it solves is the ONE that’s top of mind for your ideal clients. 4. Are You Charging Enough For Your Packages? Weird as it may sound, if you’re undercharging for your expertise, you may be turning people off from seeing the value of how you can help them. Plus, undercharging sends a message that you may not believe in your ability to deliver awesome results. Ouch! 5. Are You Describing The Juicy Benefits Of Your Package? Mastering how to talk about your services in a way that focuses on the value and benefits is a skill you can easily learn. To get started, be sure to talk about what your client’s life will look like because of investing in what you’re offering (rather than mistakenly focusing on the features — or components — of your package). Will Mastering Offering Packages Immediately Boost Your Income? YES! Plus, you’ll dramatically increase your confidence. Packages are so much fun to offer and create significantly more revenue for you, while freeing up your time. So, take a fresh look at your current packages with these tips in mind, make any needed tweaks, and go get a client! Would you like to learn simple ways you can brand, package and price your services, quickly move away from ‘dollars-for-hours work’ and create more money, time, and freedom in your business? Check out my web site, www.KendallSummerHawk.com, for free articles, resources and to sign up for my free webinar “3 Simple Steps to Designing, Marketing, and Pricing Lucrative VIP Days. Have you ever needed to create cash flow quickly in your business but you just weren’t sure how to do it? Perhaps you thought about offering a preview call or a workshop, selling a paid telecourse, or speaking at an event… but then you realize that as great as these strategies are they all have one big problem. They take time to pay off. And you need results fast. My good friend Kendall SummerHawk has a solution you’re sure to love because it’s the quickest way to create income in your business, often within just a few days. “VIP Days” are a simple, fast strategy you can implement within just a few days. This is for you every time you need to generate great money and free up your schedule, whether you’re just starting your business or you’re an advanced entrepreneur. Because let’s face it, one of the most stressful aspects of running your own business is figuring out how to keep cash flowing in. Slotting VIP Days into your marketing calendar is the perfect solution. And because they typically can be marketed with as little as one conversation, or if you prefer, with as few as just 3 emails, you can easily slip them in anytime you need a quick cash flow boost for your business. Get registered for this FREE training today. No worries. Kendall will explain all this, and more, in DETAIL, in this FREE webinar training. She has masterfully helped hundreds of entrepreneurs just like you to offer VIP Days and generate quick profits in their business. Oh, and come prepared to take notes! She’s going to give TONS of detailed content you can implement immediately. P.S. What clients are willing to pay handsomely to get is your expertise, delivered in a 1-day intensive format, either live or virtual (which is so convenient, it’s really easy to enroll clients into, right on the spot). 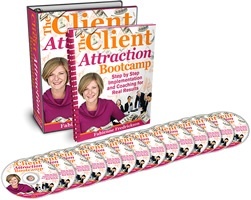 Kendall SummerHawk will walk you through the simple steps to creating VIP Days that produce awesome results for your clients…and a quick income boost for you. VIP Days are going to help you solve the “how do I make money now” problem forever…I can’t wait for you to get in on this free training! Did you know that there are specific money secrets that EVERY 6 and even 7-figure entrepreneur uses? And that YOU can use these for yourself, even if you’re not quite “there yet” with your income? You just need to know what they are, and WHY they’re so important. This is definitely worth getting excited about and here’s why — Kendall will be sharing these 5 specific secrets so you can stop feeling guilt, shame, doubt or fear about money and quickly and joyfully increase your VALUE and your INCOME. She is PERSONALLY leading every minute of this webinar, and it’s gonna be full of content gems that you’re going to love. P.S. This is an ALL NEW training from Kendall that I think you’re going to love! So grab your spot right now! Hey, I have to tell you that if you purchase a product that is linked to this blog, I will probably receive a commission. I only recommend people and products that I think are awesome.